Heads up, mala lovers. 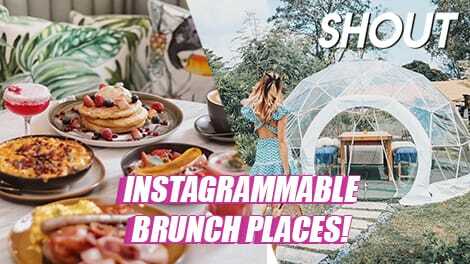 We’ve got the latest contender for the ultimate mala snack coming right up! 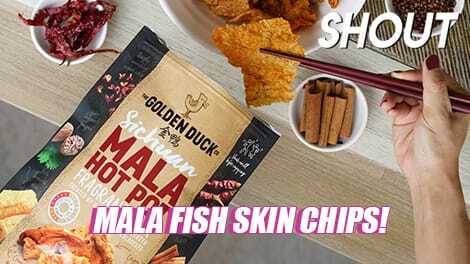 The Golden Duck has just announced their latest addition: the Sichuan Mala Hot Pot Fragrant Mix. They literally take the ‘hotpot’ seriously, with a mix of The Golden Duck’s crispy fish skin, fried mushrooms, and fried bean curd skin all tossed in that mind-numbing mala that’s sure to ignite the heat. You’ll feel like you’re snacking on a mala hotpot, and you’ll get the full numbing and spicy experience. From 18 April, you’ll be able to get a snack bag of mala hot pot at all The Golden Duck outlets around Singapore and online. Each pack is $7. 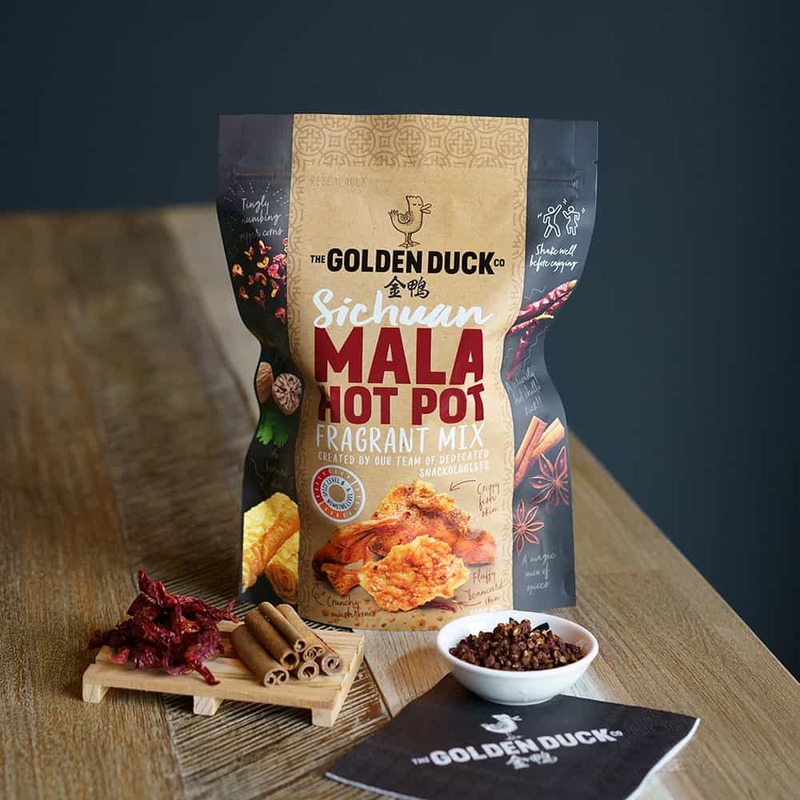 The Golden Duck even proclaims that their mala spice blend has real Sichuan peppercorns, which will numb your entire mouth if you bite into one. According to them, the Sichuan Mala Hot Pot is rated Spice Level 6 and Numbing Level 4. 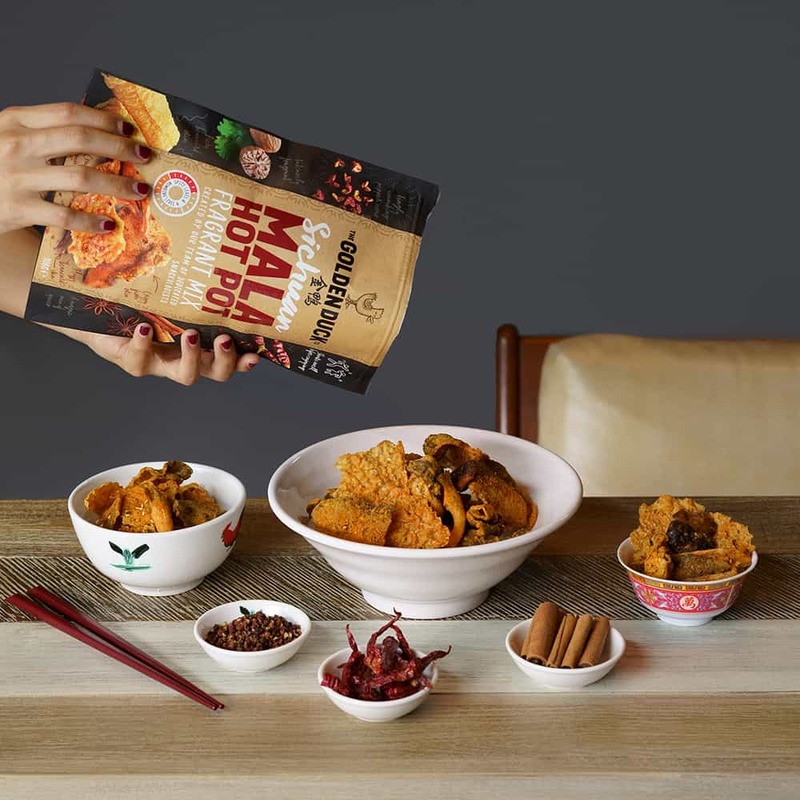 The new Mala Hot Pot Fragrant Mix joins The Golden Duck’s selection of addictive snacks like Chilli Crab Seaweed Tempura, Salted Egg Yolk Potato Crisps, and the popular Salted Egg Fish Skin. 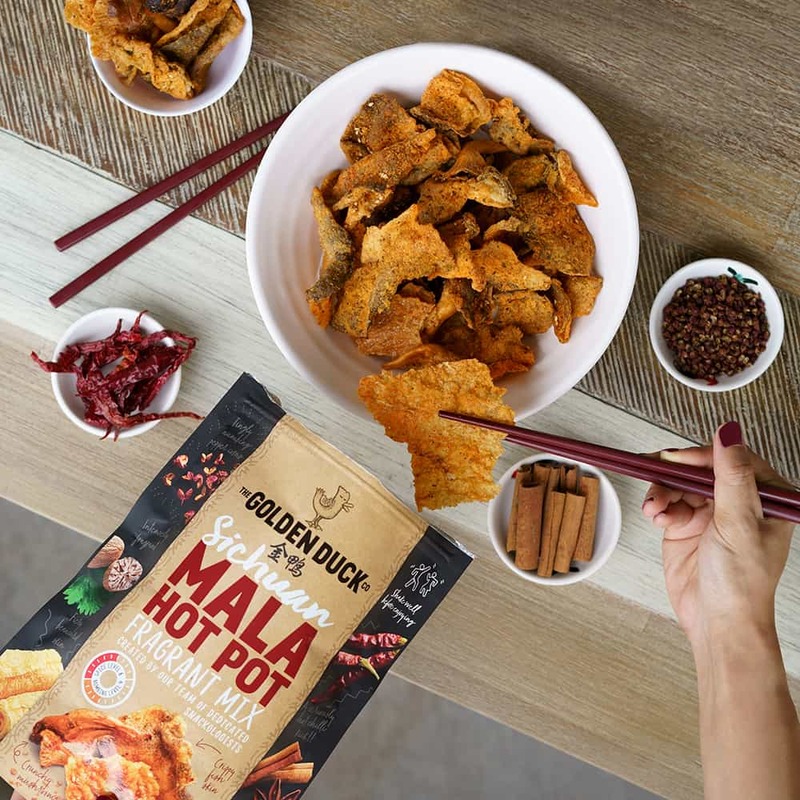 The Golden Duck Sichuan Mala Hot Pot Fragrant Mix is available for $7 a pack from 18 April 2019 at all The Good Duck outlets and online at thegoldenduck.sg. 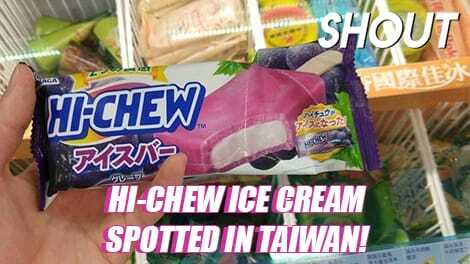 Eventually, the snack will be available at Cold Storage supermarkets and at selected 7-Eleven outlets islandwide. KFC Is Dropping Limited Edition Sneakers On 17 April! 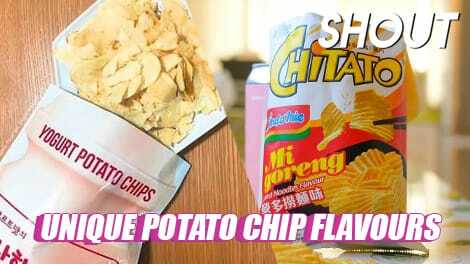 World’s Greatest Truffle And Wasabi Flavoured Fries Opens New Outlet In Vivo! Battle Of The Limited Edition Mala Fried Chicken – Texas Chicken vs. 4FINGERS! Massive Nagano Tomahawk Donburi Drizzled With Golden Truffle Now At Tanuki Raw! Real life black and white filter. We need this to come back permanently.